Battle.net StarCraft II Matchmaking Too Good? Blizzard's Rob Pardo discussed how Battle.net will approach smurfing or "noob-stomping" when StarCraft II is released. There is a large learning curve when it comes to playing real time strategy games online against random opponents. Some players are still trying to learn the basics of the game when they're matched up with experts who annihilate them before they've expanded or even built their first barracks. Usually, there is a matchmaking algorithm in place which attempts to pit like-skilled players against each other, but the experts still find ways to circumvent it. The practice actually has a term for it - smurfing. In games like Blizzard's WarCraft III, for example, players could create any number of accounts. That practice is abolished in SC2, but Rob Pardo says that the issue isn't as simple as that. 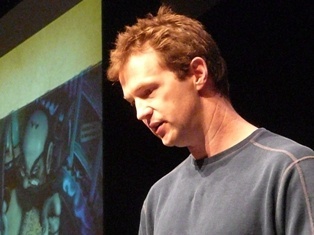 "It's really, really tricky when you have such a diverse skill set of people that are coming to your game, especially when it's a competitive game," Pardo said during a panel discussing the future of connectivity in games at GDC 2010. "Really good players, they don't necessarily want to play themselves. They want to go beat up on the noob because that's really fun," he said. "When you look at WarCraft III, one of the mistakes we made with that game was that you could make unlimited accounts. All someone had to do, once we knew what their skill level was, they'd just go and make a new account. As far as we were concerned they were a noobie. "In StarCraft II, we're making sure that you can't do that. You can only have one account and if you want a new account, because you want to go beat up on noobs, you're going to have go out and buy a new copy of StarCraft," he said. The Battle.net matchmaking has been vastly improved in the StarCraft II beta in accurately setting up matches. But the really interesting tidbit is that Pardo isn't sure if that's a good thing. "If your matchmaking is really good, it means that for every single game, you're kind of the edge of your seat," Pardo said. "After you play an hour or two of games like that, you're kind of exhausted. So we're actually talking about, 'Is that the right matchmaking approach?' You might want to add a little sloppiness to the matchmaking. Maybe that means sometimes you get stomped, but sometimes you have easier games. And sometimes you have the really competitive games. It's got better pacing. "That's something we've just been talking about this week. We're not sure," Pardo said.